Doing a remodel of your home should be an exciting time. Whether you're fixing old problems in the house, updating it with a fresher look, or both, a lot of change is happening. Of course there are stresses and questions, such as: What if something breaks? What if there's an unexpected issue that costs extra? What if it doesn't look as good as I'd hoped? One question numerous homeowners never think to ask themselves, especially when undertaking their first remodel, is: What do I do with my stuff? 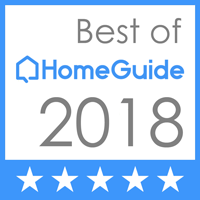 In 2017, RealtorMag, the National Association of Realtors' official magazine, posted an article listing the most popular home remodeling projects in the United States. By far the most common are kitchen and bathroom remodels, followed by a remodel of the entire house, room additions, window and door replacements, and repairing property damage. When it comes to protecting your possessions, bathroom remodels aren't too bad. Most people only store self-care items like toothbrushes, makeup, combs and hairbrushes, and towels. You can move those anywhere, hopefully to another bathroom in the house. Kitchens are a little more of a hassle; most of what we have in our kitchens is relatively common and inexpensive, but there are a lot of small items we need to track. Once we move into bigger changes, the logistics become much more of a headache. The workspace needed for a room addition extends outside the area for the new room; depending on how your house is set up, this may include big, heavy furniture that's both hard to move and difficult to find a place to store elsewhere in the home for the duration of the work. Then there are the biggest projects of all. If your home has suffered significant harm (in a tropical storm or hurricane, for example), you might need to empty a huge portion of the house just to get a proper look at the damage, to say nothing of how long you'll need to keep your items stored while the damage is repaired. And if you're undergoing a full home remodel, you'll need somewhere for everything in the house to go. Even if you remodel your home one section at a time, so you don't have to figure out what to do with all of your things at once, that just means you'll need a smaller space to store your items for a longer period, rather than a larger space for less time. Figuring this all out is, to say the least, is a strenuous task. The logistics of moving everything you own from one house to another during a regular move are hard enough. When your home or business suffers a disaster or needs a major renovation, and you need to move everything out of the building, find a storage solution to house it all, then plan to move it back, that goes far outside the bounds of almost anyone's experience, and creates a headache often worse than dealing with the renovation or repair itself. A normal moving company will come in, carefully carry your belongings to their truck, drive them to the location of your choosing, and unload them. But in this type of restoration/remodel scenario, you need to find the storage facility where everything will be temporarily housed, then hire the moving company again to repeat the process of bringing it all back to the house. In the interim, you're trusting the storage company to keep everything you own safe from theft or weather damage — and if you're recovering from a tropical storm, the last thing you want is for your possessions to be damaged due to the storage facility having poor protection against a simple heavy rain. Simply put, the average moving company is fine for what most people need: a one time move. You need more. And when contractors come in for a remodel, they more often have little interest in dealing with furniture, or anything else that needs to be moved before they can start working. There's nothing but liability problems in it for them, so they will usually ask you to deal with it ahead of time. A pack out service is a full-service solution for moving and storing anything you need out of the house during a remodel. From the start, you can see the difference: the pack out movers don't just carry your belongings away, they track where each item placed in the house. Every room is mapped, and every item is tagged with a barcode and inventoried. The inventory is more than a simple list, as well; a good pack out service offers an online photo inventory that lets you check the status of everything you're storing upon arrival at their facility. Furthermore, a proper pack out service prepares your furniture to safely spend time in storage, not just to make a quick move from one location to another. Whether your furniture needs disassembly, extra padding, shrink-wrapping, or another solution for proper storage, pack out movers will ensure everything is safe and secure. Finally, pack out services will pack everything back into their original positions. Their itemized inventories and building maps are designed to ensure that once the work is done, everything goes back exactly where they found it. Someone who sees the house before the pack out and doesn't return until after the pack back should never know that anything has changed—except for the shiny new remodel, of course. Did you know that every single item that we store or ship on one of our dedicated trucks gets its own unique bar code? We partner with the iCat Content Management software to monitor your inventory and provide you with online access to photos of each piece. Contact Pack On The Go to find out more about how we can help during your remodel.